Enhance any business to portray your message in a way that will captivate the reader with this deal from CodeGrape! 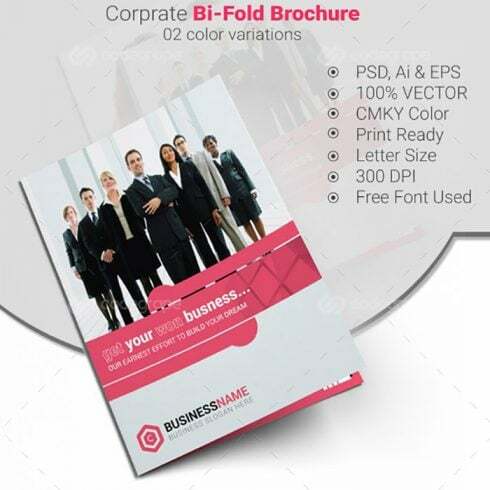 Whenever a client needs a brochure to stand out from the crowd, you’ll have 30 professional templates to choose from. They are easy to customize and their clean and modern look gives you the power to create content that is interesting and easy to read. Valued at over $280, now you can add these resources to your toolbox for only $15! Now that’s a deal you don’t want to miss! If you are a web graphic designer taking care of several assignments concurrently, you see the importance of the whole pack of design elements available at hands. Hunting for them separately, you spend much more cash and time as a result. To get every one of the desired elements in a single pack, we advocate taking a closer look at graphic bundles. A bundle can be described as a assortment of design components meant for graphic design, valued for a large amount of money, however sold at a bargain price tag for a very limited time. 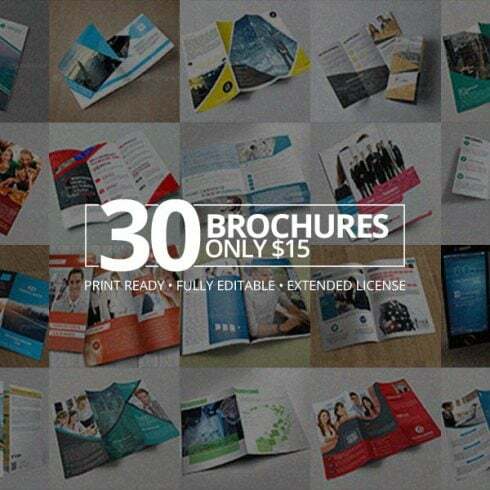 How can you benefit from using 30 Creative Brochures with Extended License? The advantages of graphic packages for graphic designers are pretty obvious. But if you are new to them and now have concerns, the following information and facts is going to be of great help for you. Along with a large number of the components within a single pack, the collection gives you an opportunity to use several of them for many different tasks. Besides, the cost is usually cut down tremendously which lets you stretch your budget, yet get the whole set worth hundreds of dollars. Due to the fact all the deals are different from one to another, almost every designer will discover the needed selection for a specific venture. Exploring them you will uncover the collections including social media infographics, PPT templates, business cards, UI kits, plus much more. At MasterBundles.com marketplace, there are actually over 450 graphic packages available. Any ways to make bundles even more cost-effective? Do you want a 5% additional price reduction on any deal from MasterBundles.com? Well, it is not that hard. All you have to do is just share the page with a package on social websites (Facebook). MasterBundles offers you a large selection of different items. MasterBundles.com sells not only graphics packages but also something like 20 other various kinds of products. Fonts, WordPress themes, mockups, icons, photos, illustrations, presentation templates and a great deal more – on the MasterBundles.com it’s possible to locate most of the goods, required for a design. If you feel as if you’ve lost track of time when researching various resources and elements for your current design jobs, it is high time to learn more about MasterBundles.com. This is a marketplace offering the most widely used instruments (icons, fonts, logos, graphics, watercolors etc.) for graphic designers, entrepreneurs, and web developers at a reasonable price for a short period of time. To not miss out on major information about the upcoming promotions, we recommend following our blog and signing up for the email newsletter.